Introducing kittens to your home is an exciting time. You get little balls of fur full of energy who just want to play. However, it is a big responsibility and you will want to make sure that you are giving the new members of your household a balanced diet. A good diet will mean that your kittens will be the healthiest they can be. Because of the amount of energy they have, kittens need a diet high in both protein and fat. Carbohydrates aren’t necessary, but they don’t do kittens any harm. Just make sure that the carbs don’t come from unhealthy fillers like wheat, corn, or soy. Both dry kitten food and canned kitten food can be given. It is a good idea to free feed, that is leave some dry food out so the kittens can snack in-between meals. If you decide to feed both types of food, 2 – 3 cans of wet food is sufficient per day, but if you decide to just feed wet food, your kittens will need 4 3 oz. cans a day. Just remember that there isn’t as much protein in wet food as in dry. Kittens need to stay hydrated so if your kittens are eating a lot of dry food, make sure that there are a few water sources close to their food. In this article we will discuss how to choose the right cat food for your kittens and then give you our top rated kitten foods. What do Kittens Need to Grow up Healthy? For the first four weeks of their lives kittens rely on milk from their mothers. Then they slowly transition to kitten food and should be fully weaned by the age of eight weeks. They can double or even triple in size during this time, so your kittens will need a significant amount of calories, more so than an adult cat. 50% of these calories are needed to form and develop tissues and organs, while the other 50% is simply for play. Because their energy needs are so high, they can’t get all their calories in one meal and should be fed 3 or 4 meals a day. While they need the same amount of fat, fatty acids, and some vitamins as adult cats, they need more protein until they’re 12 months of age. They also need more amino acids and minerals than adult cats. Because of this you should feed your kittens specially formulated kitten food. So how do you know if the kitten food you have chosen is good enough? Firstly, it should have a protein as the first ingredient on the label. Secondly, it should state that it meets the requirements of AAFCO (the American Association of Feed Control). This group regulates pet food. What Shouldn’t You Feed Your Kittens? It is not advisable to serve your kittens homemade diets in preference to specially formulated dry and canned kitten food as you may not be giving them the right balance of nutrients. Don’t feed your kitten raw meat as it may contain parasites, and raw eggs may have salmonella. Raw fish can give kittens a vitamin B deficiency while cow’s milk may give kittens diarrhea. If you want to give your kittens milk choose a milk especially formulated for kittens. In addition, make sure that you don’t give your kittens onions, garlic, chocolate, raisins, grapes, coffee, or tea. All can be toxic for cats. Most people include dry kitten food in the diet of their kittens. Cats love to snack so it’s a great thing to leave out all the time as it doesn’t spoil like canned food does. It is a good idea to buy crunchy kibble as it helps reduce tartar. 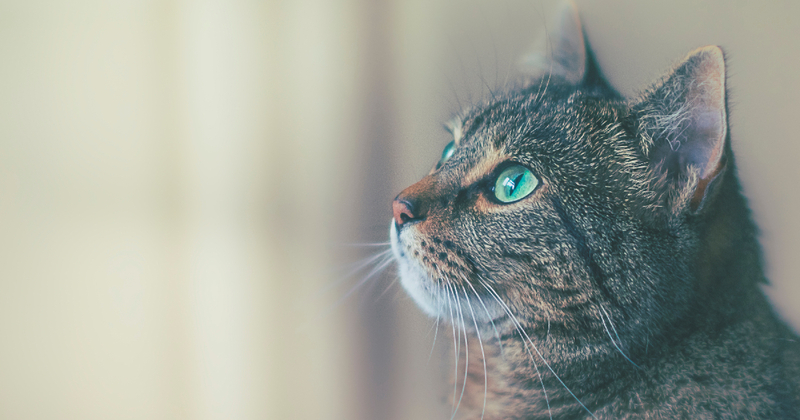 Cats, like any other animal, can develop dental problems as they age, so it’s a good idea to start prevention early in their lives. The great thing about dry kitten food is that it is calorie-dense, much more so than canned kitten food, so it gives them fuel for their high energy levels. Just make sure that you leave them plenty of water so they can stay hydrated. You should check what the ingredients are in the dry kitten food that you buy. Make sure that protein is the first ingredient as kittens need at least 30% protein a day. More is better. The food should also contain the amino acid, taurine as it aids brain development and ensures healthy eyes. The vitamins C and E promote a healthy immune system and mental development. It is always better to go for grain free dry kitten food as these fillers have no health benefits whatsoever. In addition, check that the food is free from artificial colors, flavors, and preservatives. They add nothing to the diet of your kittens. Think about purchasing smaller bags of food which have natural preservatives rather than a large bag with artificial preservatives. Feel free to try out a number of high quality dry kitten foods to see which of the tastes your kittens prefer. You don’t want their bowls to go untouched. In the end you need to get the right balance of nutrition, taste, calories, and price. Then your kittens can be assured a healthy life. Canned kitten food contains a great deal of moisture which helps to keep your kittens hydrated. However, be careful that there isn’t too much, otherwise your kittens won’t be getting their desired nutrients. A more expensive kitten food will probably contain more protein than a cheaper version. Less pricey kitten foods may also contain too many carbohydrates. Check the label to make sure that there is no wheat, corn, or soy as these carbs don’t add anything to the nutrition of your kittens. If there are carbs, ensure that they come in the form of fruits and vegetables. There are quite a few textures of canned kitten food available. You should probably start with a pate as it is easier for little mouths to chew. As they start growing up, you can introduce cubed, flaked, and shredded kitten food which will give them practice in chewing. Try out all textures to see which ones they prefer. You may wonder why you should give canned food to your kittens as well as dry as they contain so much moisture. However, on a diet of only dry food, kittens can be prone to getting kidney and urinary tract infections. Also, if kittens get used to only dry food, it can lead to weight gain later in life as it is more calorie dense than wet food. The best answer is to give your kittens a mixture of both types of food. Serve wet food at meal times and leave out some kibble for them to snack on throughout the day. Cats love to snack unlike dogs who wolf down their meals as soon as it is put in front of them. You will know if your kittens are getting the right type of nutrition just by looking at them. They should have glossy coats, bright eyes, be full of energy, and not be overweight. Instead they should gain weight at a steady pace. Why Should I Feed Kitten Food Rather Than Cat Food? The reason why you shouldn’t give kittens adult cat food is that they have different dietary requirements. Kittens need way more protein than adult cats to feed their high energy levels. In addition they need more of certain vitamins and minerals. Although you probably intend to give your cats the best possible diet which you can afford, it is essential that kittens have high-quality ingredients. They need protein from a meat or fish source, not from by-products. 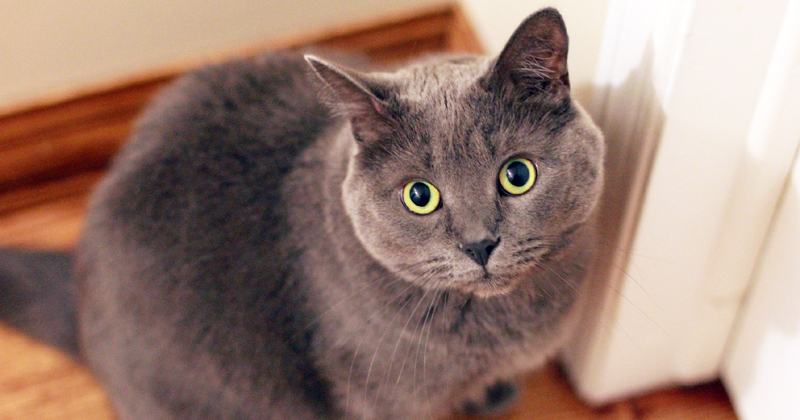 Fats are essential in small doses, and your kittens should be on a grain-free diet. 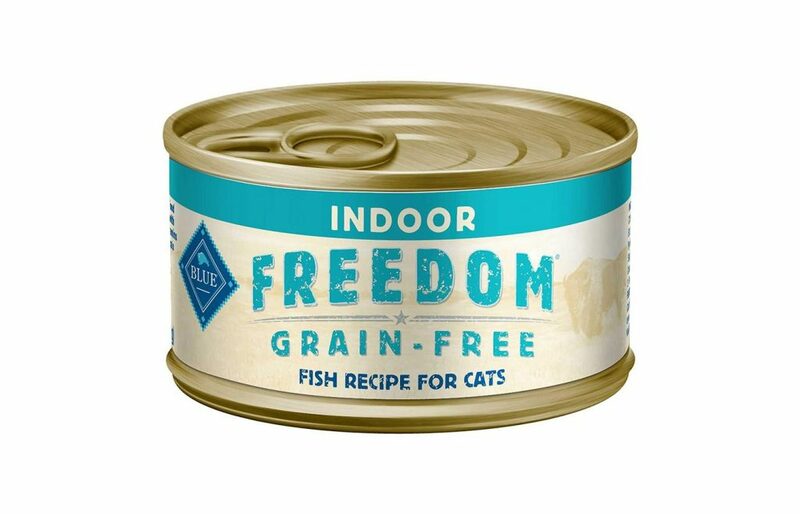 This canned kitten food has one of the highest protein contents available in wet food which is nothing but good for your kittens. 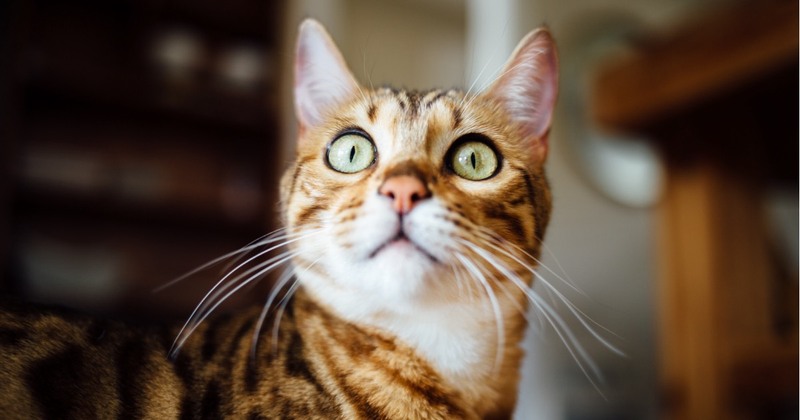 As well as the turkey and chicken liver, there is a fish ingredient in the form of herring, which contains DHA to give your kittens optimal brain performance. There are no meat or fish by-products nor are there artificial colors, flavors, or preservatives. The other ingredients in this kitten food are wholesome and there are no grains like wheat, corn, or soy. They are empty fillers which have no purpose in the diet of your kittens. Instead, macronutrients such as yucca and rosemary have been added which help to give your kittens energy. The food has been fortified with choline, calcium, iron, and magnesium for optimal health. As there is no grain, the wet food is gluten-free, which is helpful for kittens with sensitive tummies. 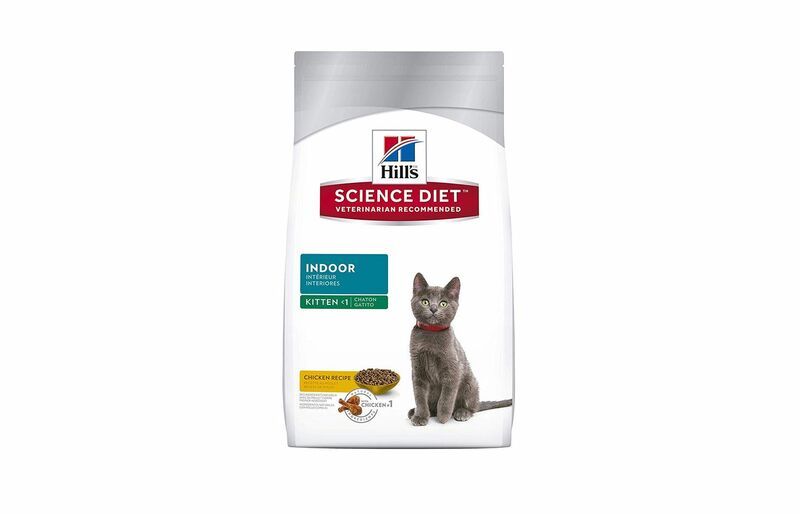 An excellent dry kitten food is Hill’s Science Diet. It has a high level of protein in the form of chicken which fuels your kittens for exciting days of play. This lean protein helps to strengthen muscles and give a shiny coat. There is plenty of fiber in this food which helps with the digestive health of your kittens, and it contains a special blend of antioxidants combined with vitamins C and E which promote a healthy immune system. It contains no artificial colors, flavors, or preservatives so your kittens will be getting wholesome ingredients. This kitten food is specifically made for indoor kittens as the fiber and high-quality ingredients make it easier to clear up their litter box. The kibble is crunchy, which is good for the dental health of your kittens, and the pellets are small enough to be the right fit for the small size of their mouths. 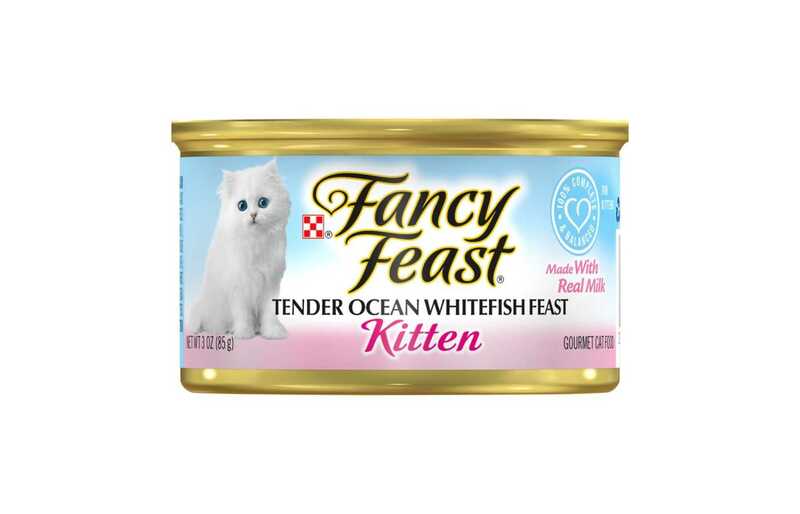 This canned kitten food has a high protein count in the form of healthy omega rich ocean whitefish. In fact, it is the top ingredient and will give your kittens plenty of energy to play all day. It is also jam-packed with vitamins and minerals which will allow your kittens to grow up healthy and strong. 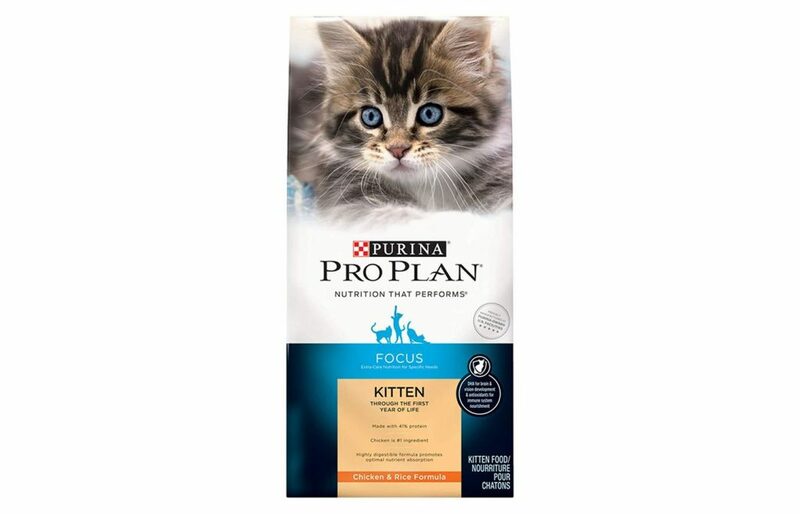 This kitten food contains the amino acid, taurine, which is essential for good vision and a healthy heart. It has a smooth texture which makes it easy for your kittens to eat. Big chunks of food really shouldn’t be given until your kittens are a little older. It also contains real broth and milk, both of which help to keep your kittens well hydrated. This is perhaps even more useful if your kittens seem reluctant to drink water. In addition, the milk and broth also help to combat urinary tract infections. 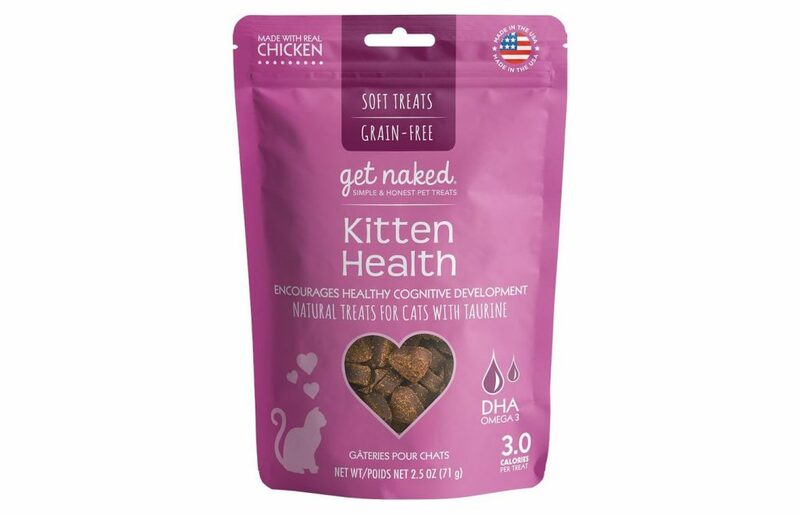 This dry kitten food is packed full of protein in the form of chicken. There are no byproducts, just pure chicken, all the better for the health of your kittens. This amount of protein will fuel the energy levels they have. There are no unnecessary fillers in this kitten food and it has nutrients similar to those found in their mother’s milk. What could be better than that? It makes the transition of weaning so much easier. 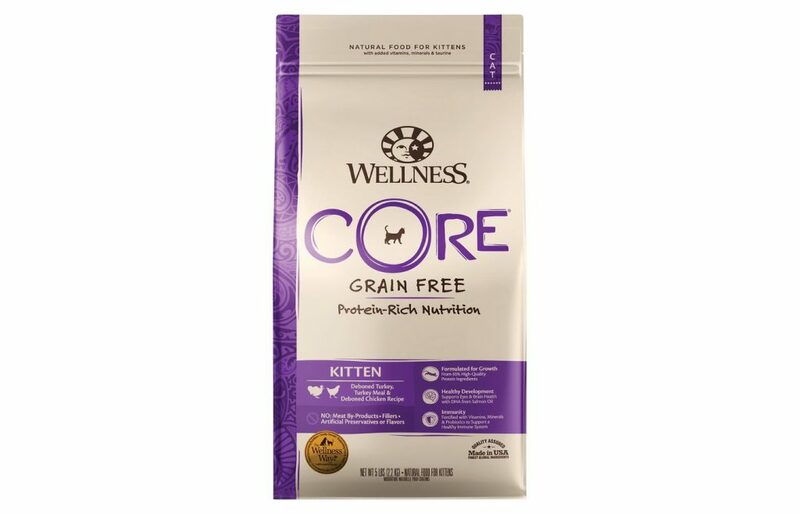 Kittens need to be able to digest their food properly and this kibble has a fiber blend of prebiotics and beet pulp. This makes easier for them to absorb nutrients. 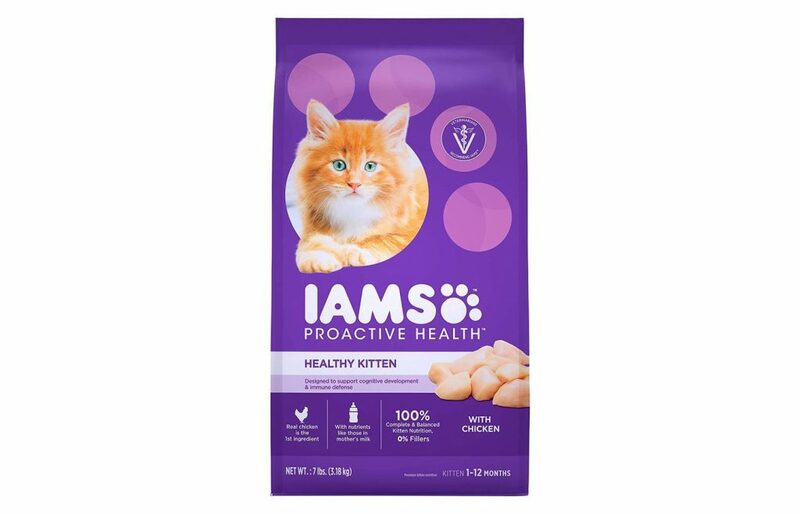 Iams Proactive Health Kitten dry food contains plenty of vitamin E which helps to support your kittens immune system, and calcium and potassium for heart health. This kibble is small so it won’t be difficult for your kittens to crunch through the pellets. All kittens need to have a treat every now and then and what better than this nutritious and delicious snack. It is made with chicken as its main ingredient so you will know that your kittens are getting the best. They will be having a healthy protein as part of their daily diet without any by-products which have little nutritional value. These treats are grain-free, which means they don’t have wheat, corn, or soy, all of which are unnecessary fillers. They do have, however, DHA omega-3 fatty acids which help with brain development. They also contain the amino acid, taurine, which is good for vision. 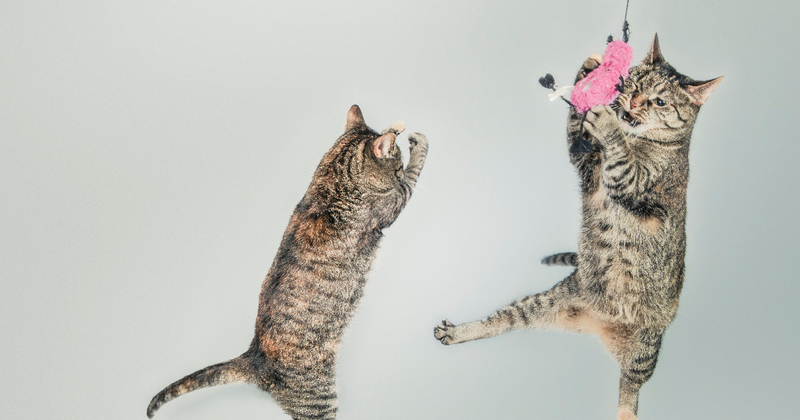 These treats are low in calories and although your kittens do need a calorie-dense diet for their activity levels, this is better given in their wet and dry kitten food, rather than in snacks. You will want them to stay at a healthy weight. The treats are small, just the right size for tiny mouths and come in a sweet heart-shape. Chicken is the main ingredient in this dry kitten food which ensures that your little ball of fluff is getting optimum protein from a real meat source, not by products. It measures in at 41% protein which is one of the best percentages out there. The rice is an excellent source of carbohydrate, much healthier than wheat, corn, or soy which can affect the sensitive tummies of some kittens. The formula of this kitten food includes omega-3 fatty acids including DHA. This helps with brain development and aids vision. There are also powerful antioxidants which help to develop the immune system of your kittens. The calorie content of this dry food is high which will fuel their energy. They need plenty of calories to run and play all day. The kibble is small, making it suitable for the little mouths of your kittens and their growing teeth. This canned kitten food is reasonably high in calories for a wet food so is a good choice for energetic little kittens. Chicken is the first ingredient and what is used is pure chicken, not by-products, so you can rest assured that your kittens are getting a good diet. Many kittens don’t thrive well on a diet filled with grains like wheat, corn, or soy. They can affect their stomachs and cause allergies. This kitten food does not contain any such grains so your kittens should thrive. The carbohydrates it does contain are brown rice, barley, and oats, which are all healthy carbs. It also doesn’t contain any artificial colors, flavors, or preservatives which should also increase the well-being of your kittens. There is a delicious addition of cranberries in the formula which also helps the urinary tract of your kittens to work properly. This kitten food contains an excellent blend of dietary fibers which help to push hairballs through during the process of digestion. 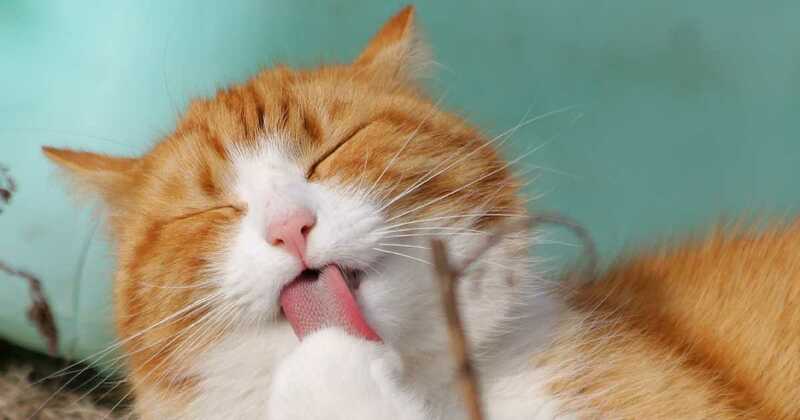 This also helps to reduce the odor from the litter box. In addition it is made with broth which helps to keep your kittens hydrated. Here is another protein-rich dry cat food. 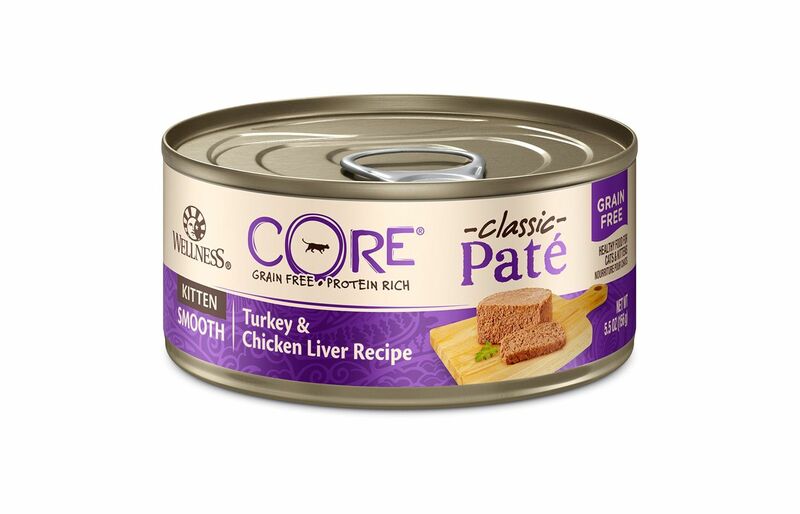 It is filled with deboned turkey and whitefish which will give your kittens boundless energy. It is completely grain-free so there are no unnecessary fillers with little nutrients in them. Every bit of the kibble is packed with DHA omega-3 fatty acids including salmon oil and taurine, both good for vision. There are also plenty of vitamins and minerals in this dry food which help your kittens reach optimal health. In addition to the turkey and fish, you will find that the food has plenty of fruit and vegetables, all of which are antioxidant-rich. This dry kitten food is special in that the kibble is fortified with a probiotic coating called ActiCoat. This aids smooth digestion and gets hairballs out easily. Finally, there are flax seeds which help to give your kittens a smooth and glossy coat. The first ingredient in this dry kitten food is cage-free chicken so you will know that your kittens are getting a good quality ingredient. It is grain-free, has no artificial flavors, colors, or preservatives, and does not contain any meat by-products. The digestive health of your kittens is aided by probiotics, and omegas which help to give them healthy skin and a shiny coat. The DHA omegas also help to develop the brains of your kittens and aid vision. Antioxidants help to strengthen their immune system. This kibble is a little different in that it is raw coated. Real meat and wholefoods are freeze dried which means that they are minimally processed and therefore keep more of their nutrients. Your kittens will love the taste too. Instinct believe that raw nutrition is the way forward and that your kittens and cats will improve their health by going on this diet. 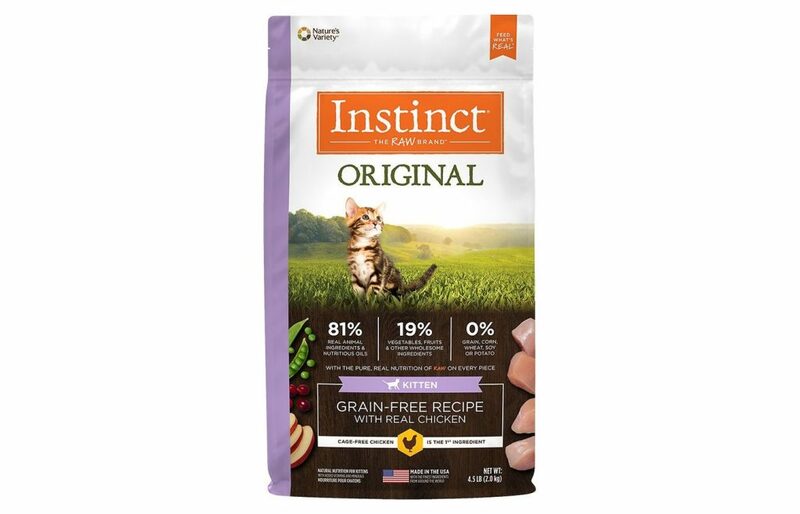 This dry kitten food is full of protein and it also comes with botanicals such as turmeric and rosemary. It contains highly nutritious fruits such as blueberries, blackberries, cranberries, and pomegranates. Combine this all together and it makes it one of the healthiest kibbles out there. 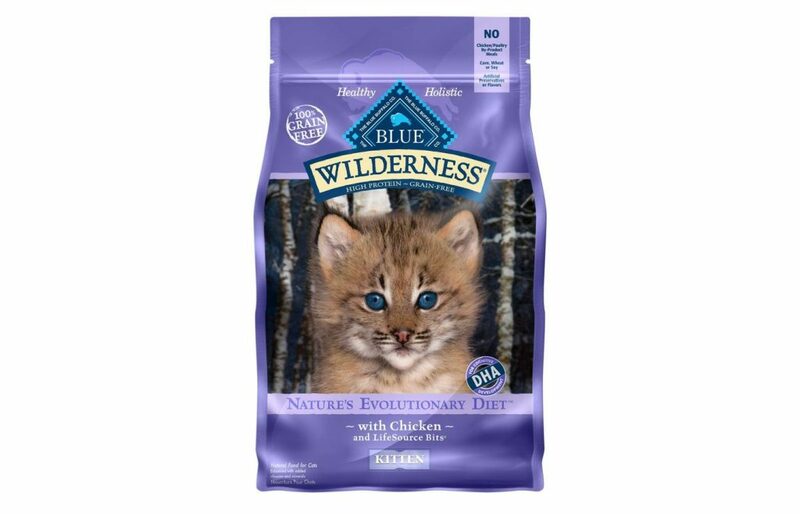 Blue Buffalo add Life Source Bits to their cat food which also helps with the health of your kittens. They are a blend of vitamins, minerals, and antioxidants which boost their immunity. 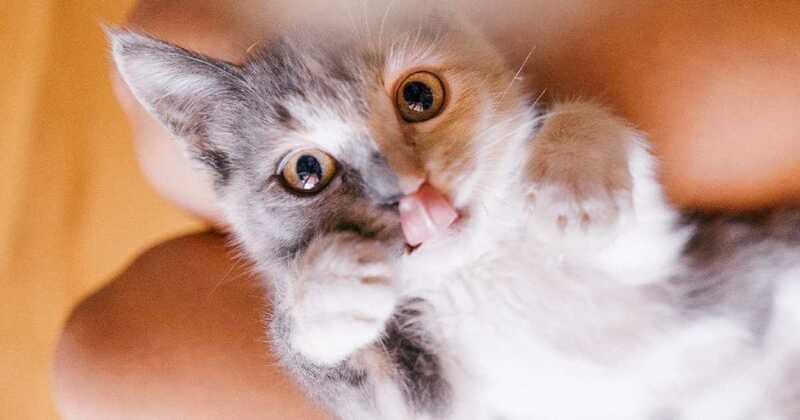 Add to this amino acids, omegas, and taurine, plus probiotics for healthy digestion, and you have a perfect blend of nutrients which will give your kittens the energy to play and to grow up healthy. This kibble is free of artificial colors, flavors, and preservatives and is grain-free. That means that there is no wheat, corn, or soy and it is completely gluten-free. In addition, no poultry by-product meal is used. Why Should I Buy Specially Formulated Kitten Food? The answer to this question is simple. To have the healthiest kittens you will want to give them the best diet possible. Trying to feed them homemade food usually doesn’t work well as it is difficult to know if you are giving them the right amounts of protein, fats, and carbohydrates. Kittens need a lot of protein to fuel their energy levels; in fact they need much more protein than adult cats. They should ideally be getting a minimum of 30% protein from their food each day. They should also be getting a lot of calories, not just for playing but also to help them grow in the healthiest way. 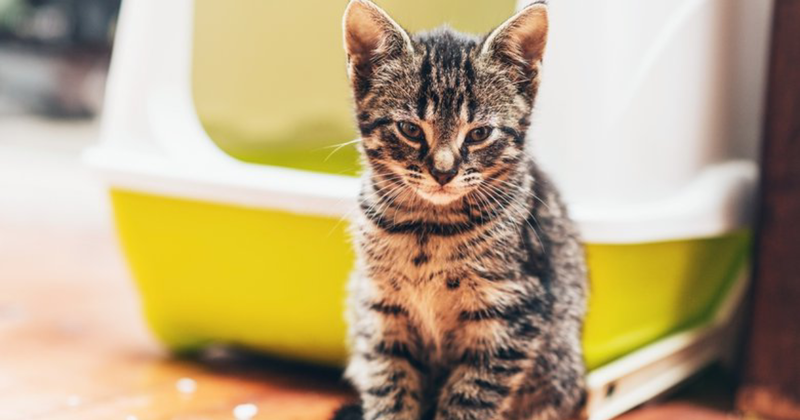 Should I Feed My Kittens Wet or Dry Food? Ideally you should feed them both. A good plan would be to give them wet food three times a day, while leaving out dry food for them. Dry food doesn’t spoil in the way wet food does, and cats do love to snack. Wet food has the advantage of containing moisture which will keep your kittens hydrated. A high-quality brand of wet food will contain all the important vitamins, minerals, amino acids and antioxidants that your kitten needs. Dry food, on the other hand, has a lot more calories and protein than wet food which will fuel their energy.